Journalists and staff members of the Transparency International Sri Lanka (TISL) made complaints to the Inspector General of Police on the threats they received for conducting an event to award certificates to the trained Investigative Journalists in Colombo recently. As part of its regular programme of work, TISL organized a series of training programmes for journalists to build their capacity on investigative journalism. All resource persons and participants were Sri Lankans. At the completion of the training TISL organized an event to award certificates to the trained 60 journalists and urge them to continue to do more balanced and investigative stories on corruption and governance.. The event was scheduled to take place at a Colombo Hotel in Colombo 05 on the 15th October 2014. 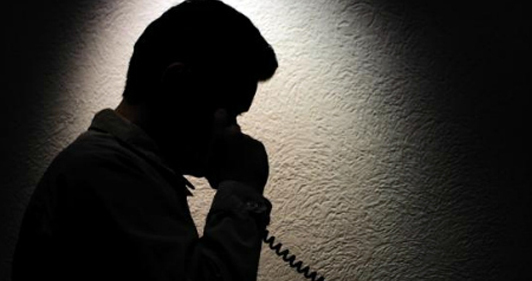 Soon after the invitations were sent to the participants, TISL staff members as well as the trainees started receiving threatening telephone calls. They threatened TISL Senior Manager Shan Wijethunge, trainer Jayasiri Jayasekara and trainee from Kurunagala Janur Kichilan using very abusive language. They not only threatened Shan Wijethunge but threatened his family too. On 14th Tuesday threatening SMS messages were sent to almost all the staff members who were involved in the programme. This SMS was received by more than 50% of the invited participants too. As to how they got the phone numbers of the participants and Shan’s family remains a mystery. The continued threats prompted TISL to cancel the reservation at the Hotel and move to another venue and conduct the event. TISL thought there could be a repetition of the recent incident when an organaised gang gate crashed a TISL workshop held in Negambo. Earlier three TISL IJ training workshops were disrupted. In spite of the challenges TISL managed to conduct the programme at a separate location. Victor Ivan, editor Ravaya newspaper and Bureau chief of AFP, Amal Jayasinghe made presentations and representatives from the other media organaisations too participated in support of the event. Meanwhile, two staff members who were stationed at the Hotel to facilitate the participants to travel to the new location observed more than 15 onlookers possibly intelligence officers in plain clothes hanging around the hotel. One of them riding a motor cycle threw a piece of paper towards the front door of the hotel. It carried a threatening message to the hotel. Reliable sources informed TISL that they have photographed the TISL staff members who were at the Hotel from 7.30am to 11,00am on the 15TH. They had also tried to get more details about them. Three persons have come to the Hotel on the 15th around noon after the two staff members left and tried to get details about TISL staff members from the hotel. TISL called on the government to probe these serious threats as an utmost priority.